The first Famine Irish immigrant to gain prominence in Middleborough was John Clark Sullivan. Following 1870, Sullivan would become a noted attorney in Middleborough with an extensive practice, a respected member of the Middleborough School Committee as well as the Plymouth County Registrar of Probate, a position which he would hold for years. But while Sullivan would emerge as the first of the Famine Irish truly assimilated into Middleborough Yankee society, this acceptance into the local establishment came at a price: the abandonment of both his religion and his cultural heritage. The harbour is beautiful. Small mountains in green undulations rising on the opposite side; great grey ones further back; a pretty island in the midst of the water, which is wonderfully bright and calm. A handsome yacht, and two or three vessels with their Sunday colors out, were lying in the bay. It looked like a seaport scene at a theatre, gay, cheerful, neat, and picturesque. At a little distance the town, too, is pretty. There are some smart houses on the quays, a handsome court-house as usual, a fine large hotel, and plenty of people flocking round the wonderful coach. The town is most picturesquely situated, climbing up a wooded hill. with numbers of neat cottages here and there, an ugly church with an air of pretension, and a large grave Roman Catholic chapel the highest point of the place. The Main Street was as usual thronged with the squatting blue cloaks, carrying on their eager trade of butter-milk and green apples, and such cheap wares. With the exception of this street and the quay, with their whitewashed and slated houses, it is a town of cabins. The wretchedness of some of them is quite curious: I tried to make a sketch of a row which lean against an old wall, and are built upon a rock that tumbles about in the oddest and most fantastic shapes, with a brawling waterfall dashing down a channel in the midst. These are, it appears, the beggars' houses: anyone may build a lodge against this wall, rent-free; and such places were never seen! As for drawing them, it was in vain to try; one might as well make a sketch of a bundle of rags. An ordinary pigsty in England is really more comfortable. Most of them were not six feet long or five feet high, built of stones huddled together, a hole being left for the people to creep in at, a ruined thatch to keep out some little portion of the rain. The occupiers of these places sat at their doors in tolerable contentment, or the children came down and washed their feet in the water. I declare I believe a Hottentot kraal has more comforts in it: even to write of the place makes one unhappy, and the words move slow. But in the midst of all this misery there is an air of actual cheerfulness; and go but a few score yards off, and these wretched hovels lying together look really picturesque and pleasing. Despite the insensitivity of many of Thackeray's comments, they do present a relatively accurate description of Bantry at the time of Sullivan's birth. Other travellers left similar descriptions of Bantry. Temperance leader Father Mathew told an American missionary: "If you wish to seek out the poor, go to Bantry." Missionary Asenath Nicholson did just that. "I ... went to Bantry and there found a wild and dirty seaport with cabins built on the rocks and hills, having the most antiquated and forlorn appearance of any town I had seen; and the people in rags and tatters such as no country but Ireland could hang out." She, too, compared a Bantry cabin to an native African kraal. With the failure of the Irish potato crop in 1845 and, particularly again, in 1846, Bantry, already pressed with poverty, was hit hard. Hunger and disease ravaged West Cork. By 1849, 2,927 children and adults crowded into the two Bantry workhouses. Similarly, the Bantry fever hospital was packed, and conditions there were indescribable. "Language would fail to give an adequate idea of its state, it was appalling, awful, heart sickening." Those who could afford to escape these horrors did so, and among them was seven-year-old John Sullivan. Of Daniel Sullivan, of Dersey Island, [Berehaven] Co. Cork, who left home 9 yrs. ago in company with his father [who] went back to Ireland again; when last heard of he left Middleboro, Mass. about 3 months ago. In Middleborough, John Sullivan first resided with his brother Daniel (who was engaged as a laborer), and both are listed in the 1850 Federal census. However, in 1851, Sullivan was taken in by the family of Joseph Clark, Jr., and Clark's son-in-law Edwin B. Dorrance, who resided on South Main Street, possibly because his brother had, by then, departed Middleborough. 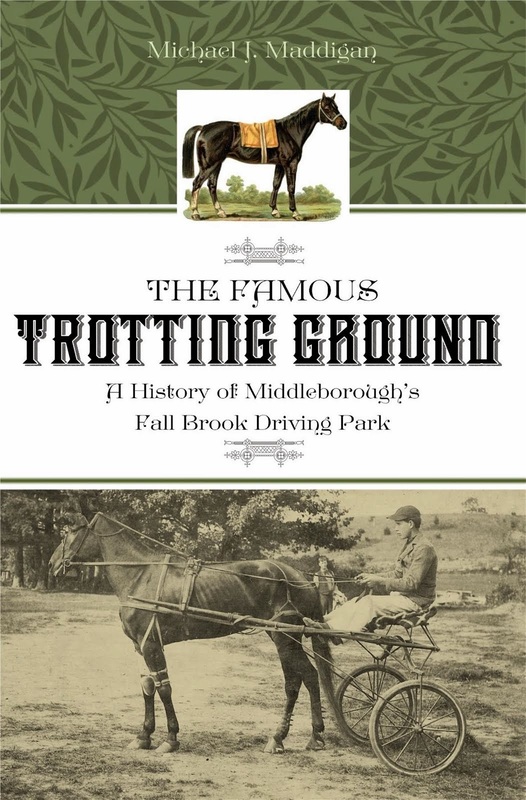 The Clarks were a relatively prominent family in that section of Middleborough known as Mortontown which was located at and just south of the junction of Main and Grove Streets. Clark's father and grandfather had been noted doctors in the community. Clark, himself, apparently practiced veterinary medicine and, at one time, operated a public house on South Main Street. The Clarks (and later the Dorrances) owned a large tract of land on either side of South Main Street in the vicinity of Clark Street (which was named for them), and it was there that Sullivan undoubtedly was raised. The Clarks and Dorrances were extremely influential in shaping the young Irish boy's development, more so than even his own family, and they came to take the place of the family he had lost at such a young age. Later, Sullivan adopted "Clark" as his middle name out of appreciation and respect for his benefactors. Through their generosity, he was able to attend private school and eventually college. Also, under their influence, Sullivan was raised as a Congregationalist and became an influential member of the Central Congregational Church of Middleborough. While little is made of this momentous change in biographies and notices regarding Sullivan, it was an important one. At the time, Catholicism was very much regarded with suspicion by much of the New England Protestant community and it would have been regarded as an impediment to his advancement within Yankee society. 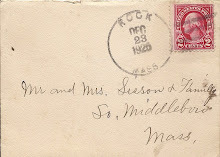 Towns like Middleborough, as elsewhere, were very much antagonistic towards Catholicism as indicated by a number of anti-clerical items carried in the Middleboro Gazette during the era. Ultimately with the abandonment of his religion, much of Sullivan's identity as an Irishman would be jettisoned, as well. and an esprit de corps unsurpassed, Peirce Academy has steadily advanced in public favor, as well as in all those elements and bases of a first-class academical resort by which alone such favor can be obtained . ... We are gratified to learn of the continued prosperity of Peirce Academy, Middleboro, now one of the oldest, most renowned, and excellently conducted of the kind in all New England, and which is characterized by no abatement of efficiency through age, but, rather, by increased conduciveness to the objects for which it was founded. At Peirce Academy, besides such studies as English, history, mathematics, philosophy and the classics, Sullivan would have been exposed to such scientific fields as chemistry, geology, ethnology, botany, zoology and ornithology. Sullivan's purpose in attending the Academy was to "fit for college." There is some question as to whether Sullivan ever matriculated at college prior to entering the army in 1862. Some sources indicate that he had intact enrolled at Brown University and had interrupted his coursework there in order to join the army. Still other sources, however, indicate that he enlisted directly following his stint at the Academy. And are you going to war, brave boys? The outbreak of the Civil War in 1861 postponed Sullivan’s plans to enter college and, instead, he joined the Army, serving in the 4th Regiment, Company C, Massachusetts Volunteer Militia. The town has authorized the raising of a new Company for the 9 month’s service …. Officers will be chosen from the ranks. Young men! This is the best chance you will ever have to enlist! Already we hear intimations that another call – and that call a peremptory draft – is upon us. Now you have one choice in the matter! You can join in with your townsmen; be officered by men in whom you have confidence; receive a generous bounty; obtain state aid; preserve your honor, and avoid the disgrace of a draft. Rest assured this 9 months enlistment is your shortest way out of the difficulty, for with the needs and wants of our government, the next draft will undoubtedly be for an indefinite, or long time. We are in for a long war! This Company is in for a short term of service in that war! Do you hear Rally then! Come on and join us! Compensation for the nine months service for a single man like Sullivan was $267.00 or $29.66 a month. Sullivan enlisted at the Middleborough Town Clerk’s office. Sullivan is recorded as having enlisted September 19, 1862, at which time he is recorded as having been aged 22 and occupied as a student. The new company of Middleborough men was organized as Company C and attached to the Fourth Regiment, “the first Regiment offered to the Governor under the recent call for nine months’ men.”15 It was mustered in September 23, 1862. The daily routine of the camp, as established by General Order No. 1 issued September 16, 1862, consisted of Reveille at 5:30 A. M., followed by breakfast at 6:00, company drill from 7 to 8:30 and again from 9:30 to 11:30, First Sergeant’s Call at noon, roast beef lunch at 12:30, company drilling again from 1:30 until 2:30, guard mounting at 3 P. M., company drill once more from 3:30 until 4:30, Retreat at 5:30 with supper call immediately following, Tattoo at 8:30, and Taps at 8:45. The Regiment left for the south in late December, 1862, at which time Ada A. Brewster’s poem, “To the Fourth Regiment” was probably read once more. And will you fight like men? And give us peace again? Upon its arrival in New Orleans, the Fourth Regiment was attached to the First Brigade, Third Division, Nineteenth Army Corps under General Emery. The Regiment participated in the first attack upon Port Hudson in conjunction with the naval bombardment of Admiral Farragut. In April, 1863, the Regiment attacked Fort Bisland and on June 30 of that year, joined General Banks in the second successful attack upon Port Hudson. The Regiment was mustered out of service August 28, 1863. Upon leaving the Army, Sullivan was able to devote himself fully to his studies which had been interrupted by the War, and he studied at Brown University in Providence. Brown traditionally had been the college of choice for Middleborough students intent upon engaging in a legal career. Both William H. Wood and Francis M. Vaughan, Middleborough’s two mid-nineteenth century practicing attorneys, were Brown graduates. Following his graduation from Brown, Sullivan returned to Middleborough where he was engaged briefly as a school teacher. During this period, Sullivan also became a naturalized American citizen, achieving that status on November 1, 1867. It was also at this time that he began to study law with Middleborough attorney William H. Wood (1811-83). Wood had resided next to the Clark family on Main Street, so Sullivan would have been previously familiar with the lawyer. Like Sullivan, Wood had graduated from Brown University, later studying law at Harvard Law School. In 1848 and 1850, Wood served as a Massachusetts state senator. Later, he was a delegate to the 1853 state constitutional convention and in 1857 was a representative to the Massachusetts legislature, a position which Sullivan himself would later hold. At the time of Sullivan's tutelage, Wood had already served nearly ten years as a Judge of Probate and Insolvency for Plymouth County and he was no doubt responsible for Sullivan's later expertise in this area. [Wood] was an able judge, and those who applied to him for help without the aid of a professional advisor found him a sympathizing friend, ready to render all assistance in his power. He was remarkable for his conscientiousness, his patient industry in matters connected with his office, he was courteous and affable in his relations to all, ambitious to discharge faithfully all duties placed upon him, a man of unusual literary ability, and a lover of good books. In 1869, Sullivan completed his legal studies (which may have included a period at the Albany Law School), and was admitted to the bar of Plymouth County in that year where after he established a practice in Middleborough which over the subsequent 36 years developed into "a large legal business." Through this practice, Sullivan would achieve for himself "an enviable reputation for ability and integrity." At the time Sullivan established his practice, there were only three other attorneys in Middleborough: Wood, Francis M. Vaughan (1836-91) and Everett Robinson (1816-97). Sullivan and Wood appeared to share a practice for a time. In 1879, the two attorneys shared a two-room office on the second floor of the Doane Block on South Main Street. Though Sullivan handled numerous legal matters for Middleborough residents, few have been left on public record. His most notable case was as a member of the defense team for accused murderer Samuel Besse in what became a notorious Plymouth County case. His name is especially associated with the Besse murder case, a sensational criminal trial, in which he was engaged with the late Hosea Kingman as counsel for the defence, and which is still spoken of with interest on the Cape and in the southern end of this county, where the events took place. This was an action of contract for services rendered, which was brought before justice of the peace C. B. Wood [of Middleborough]. F. T. Wilcox claimed that he was hired by Mr. Crossman at regular wages, which he claimed as $3 per day. Mr. Crossman claimed that he did not own the house being built, but that he was hired by his sisters, who claimed they had specific bargain at wages not to exceed $2.75 per day, which amount they tendered him but he refused. The action of the court was upon the question if he was hired by Mr. Crossman. The court saw no cause for action against Mr. Crossman and discharged him. J. C. Sullivan for Wilcox, E. Robinson for Crossman. Officer Rich arrested one George H. Baxter of Hyannis for over-driving and drunkenness. Fined $3 and costs for drunkenness, and $7 for over-driving, about $22. His lawyer, J. C. Sullivan, Esq., paid his fine and held his team for security. This civil case was heard in the Fourth District Court with Briggs represented by William S. Woods of Taunton, though “J. C. Sullivan appeared for Mr. Briggs”. Briggs alleged that he had boarded a horse used by the Singer Sewing Machine Company in the spring of 1904 and was due $12 for its keep. The Company refused to pay, arguing that “the keeping of the animal which was employed in their business did not fall on them because of an arrangement they have with their agents.” The case was taken under advisement by the Court. With the establishment of a law office in Middleborough, Sullivan apparently felt ready to engage in local Republican party politics. In October, 1870, Sullivan was chosen at a caucus of Middleborough Republicans to form the Republican town committee along with George H. Shaw, a varnish manufacturer, and George Brayton, treasurer of the Star Mill. At the Middleborough Republican caucus held two years later in October, 1872, in the American Hall, Sullivan served as secretary and was the only man named a delegate to each of the four upcoming conventions: county congressional convention, counsellor convention, county convention and senatorial convention, an indication of the growing esteem in which he was held by the local Republican establishment. During 1873, Sullivan was active in petitioning for a judicial district system, a campaign which was ultimately successful. It will be remembered that an effort was made last winter to have the town of Middleborough set off as a judicial district, and which failed of being accomplished. J. C. Sullivan, Esq., has started a petition again this winter, and has a long list of names, some influential, and others not so much, and there is every prospect of success. When this is accomplished we expect we shall have to open a court record, employ a reporter, etc., as already our trial justice has a court sitting every few days. However let us have the district system established, as we believe it will be a great accommodation. The following year, the district court system was inaugurated. Middleborough became the seat of the Plymouth County Fourth District Court which was housed in a room in the recently-completed Middleborough Town Hall. Francis M. Vaughan of Middleborough was commissioned as justice and W. L. Chipman as clerk. In October 1873 and 1874, Sullivan was once again named by the town Republican caucus to be a delegate to the senatorial conventions of those years. 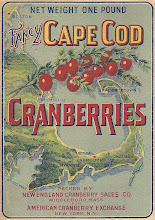 In 1876 he was named to the district convention to be held at New Bedford, May 17, 1876. Sullivan's dutiful attendance at the numerous Republican conventions and the obvious confidence which his fellow Middleborough Republicans placed in him resulted in his being named to the Republican State Central Committee in 1875, a position which he held for three years. During the 1870s, besides fostering his professional and political careers, Sullivan was active in veterans' affairs through his membership in E. W. Peirce Post 8 of the Grand Army of the Republic (G. A. R.). In September, 1870, the local post named Sullivan along with A. T. Wales and Frederick Wood as a committee to institute a course of lectures for the public. In January, 1873, Sullivan and J. M. Staples were elected delegates from the post to the department convention. The following December, Sullivan was elected Commander of the post and served the traditional one-year term through December 26, 1874. In 1879, Sullivan was noted as taking part in the installation of the post's officers. Sullivan was also active in educational and cultural affairs. He continued to organize lectures locally, and in September, 1872, he was named with Reverend Brainerd and Louis Harlow "a committee with full powers to make arrangements for a lecture course the coming season." The following year Sullivan headed a movement to establish a Lyceum Association which would sponsor public talks and lectures. At a meeting held at the close of 1873, "a company of young men met at Judge Wood's office ... and formed a temporary organization for the nucleus of a Lyceum Association. J. C. Sullivan, Esq., was chosen temporary chairman, and J. A. Burgess, Joseph E. Beals and James M. Coombs were appointed a committee to draft by-laws." Socially, Sullivan was a close friend of James H. Willoughby (1848-1926), principal of Middleborough High School from 1873 through 1886, and through him Sullivan undoubtedly further strengthened his interest in educational matters. Sullivan's only child, Olive, born in 1882 would bear "Willoughby" as her middle name. Willoughby arrived in Middleborough in late 1873, taking charge of the high school at that time. He "was the first principal to remain any considerable length of time" and it is due to him that the school became successful after a number of years of floundering and disorganization. The first class to graduate from the school was under Willoughby's direction in June, 1876. Willoughby was prominent in town politics and it is through them that he and Sullivan first met. Willoughby was "a strong adherent of the republican party, and for a time was chairman of the republican town committee." He also served as a trustee of the Middleborough Public Library, a position later held by Sullivan. J. C. Sullivan and J. H. Willoughby, the lawyer and the schoolmaster, have left trials, scholars and perplexities behind and are now enjoying themselves cruising among the lakes and mountains of New England. Later that September, 1877, the Middleborough Republican caucus chose Sullivan as a delegate to the state Republican convention along with John Shaw, Albert T. Savery and Horatio Barrows. 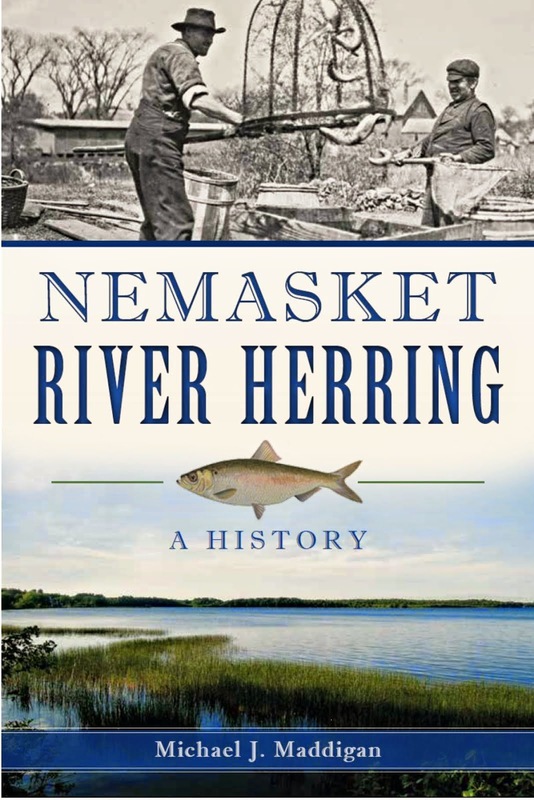 Sullivan gained invaluable experience in legislative matters when, in 1878, he represented the Town of Middleborough before "the legislative committee who have in charge the subject of the petition of New Bedford to take water from the ponds in this vicinity." Sullivan ultimately served two terms as representative to the Massachusetts legislature in 1881 and 1882. As a legislator, Sullivan was primarily concerned with legal matters and the further refinement of probate law. Among the the committees on which he served was the Committee of Probate and Chancery, and in the House he "presented an order in the legislature for inquiry relative to the publication of notice of sale under a power of sale in mortgage." In 1881, Sullivan wed Miss Myra Stacy of Waterville, Maine. Our genial friend, Representative Sullivan, of Middleboro, has shaken off the coils of bachelorhood and taken to himself a sweet maiden from the Pine Tree State for a wife. No card and no particulars. We make the happy pair our best bow and wait an introduction. The newly-wed couple was surprised in mid-January, 1882, by friends "who presented them with a fine French clock in testimonial of esteem and welcome." In the spring of 1884, the Sullivans purchased 30 School Street, a relatively large house situated on the west side of the street in Middleborough center for $4,000 from druggust Jacob B. Shaw. The house which was the Sullivans' home until 1887 was transferred two months later into Myra Sullivan's name. The couple would have one child, Olive Willoughby Sullivan born October 7, 1882. Olive attended Middleborough public schools, and upon her graduation from Middleborough High School in 1899 was named valedictorian of her class. She later studied at Wellesley College, graduating in 1903 with a Bachelor of Arts degree. On January 2, 1915, in "one of the prominent social events of the year", she wed Charles Edward Hollinrake of Saskatoon, Saskatchewan, a lawyer in that city where they resided following the wedding. At the Plymouth County Republican convention held at Bridgewater, September 27, 1883, Sullivan's name was put forward as a candidate for the post of Registrar of Probate and Insolvency for Plymouth Coubty, largely due to dissatisfaction with the present holder of the office, Plymouth attorney Daniel E. Damon who had held the position for an unprecedented period of twenty-five years. "For Register [sic] of Probate, after some discussion, there were three ballots, the first being informal, in which opposition to Hon. D. E. Damon, the present incumbent, was developed. On the second formal ballot J. C. Sullivan, Esq., of Middleboro, was nominated, receiving sixty votes to fifty-one for W. H. Osborne, Esq., of East Bridgewater, and five for Mr. Damon." Rebuffed by the county convention, Damon chose to run as an Independent Prohibition Republican candidate against both Sullivan and Democratic challenger Edward E. Hobart, a young Harvard-educated lawyer from Bridgewater who had read law with Hosea Kingman and who had been admitted to the bar only five years earlier in 1878. Sullivan found the race for the five-year term heated, with a strong challenge being mounted by Damon. "Stickers and tickets with substituted names were freely circulated, and for Mr. Damon ... the most effective work we have ever seen at the polls was performed by a personal friend in the solicitation of votes and alteration of tickets." Sullivan's hopes for office were seemingly dashed when it was revealed that he proposed relocating the probate registry from Plymouth to Brockton and consolidating the county probate courts in that city as well. "A little slip from the Brockton Enterprise stating that Mr. Sullivan had said he should use his best endeavors to remove the registry, and have all probate courts held at Brockton told heavily against him, and hundreds who never before voted other than the straight [Republican] seeing this, at once decided to vote for Mr. Damon." The gaffe dearly cost Sullivan the vote in Plymouth which envisioned itself the loser if the probate registry were removed from that place. The result of the November contest was the election of Hobart "in consequence of the division of the Republican vote." Nonetheless, Sullivan had placed a strong second, only a few hundred votes behind Hobart which left him in a strong posiiton from which to contest the next election. Sullivan's second run for the office of Plymouth County Registrar of Probate and Inslovency, though successful, would prove no less controversial than his maiden run in 1883. In the interim, however, Sullivan taken what appears to have been an unchracteristically hasty decision to relocate his family to Kansas City, Missouri, in late 1887 where he entered into a legal partnership with a Brown classmate in that city. The classmate may have been James Scammon (1844-1900) who practiced law in Kansas City in the late 19th century, working primarily for the Kansas City and Eastern Railway Company. Scammon was an 1868 graduate of Brown and received his LL. B. in 1870 from the Albany Law School where it is believed Sullivan studied as well. While Sullivan is reported as not having departed for Missouri until December 2, 1887, Myra Sullivan must have gone ahead, reaching Kansas City prior to November 10, 1887, when she appeared in the office of Jeremiah T. Drew to have her signature on the deed transfering ownership of the Sullivan's School Street house to Abbie S. Simmons notarized. Sullivan followed shortly afterwards, but for whatever reason concluded "not to remain West". The couple with their young daughter Olive returned to Middleborough in March, 1888, at which time they had a large Queen Anne-style house constructed for their home on the corner of Pearl and High Streets. With Sullivan's return to Middleborough and county Republican politics, the Plymouth County Republican Convention nominated Sullivan once more to run for the office of Registrar of Probate at its convention in late September, 1888, at Bridgewater. Sullivan's principal opponent was Democratic incumbent Edward E. Hobart who had narrowly defeated Sullivan in 1883, largely due to the split in the Republican ranks, and who had since removed to Plymouth. The Plymouth Old Colony Memorial initially reported Sullivan's victory with a plurality of 700 votes. However, the official count placed Sullivan ahead by only 69 votes. A recount reduced Sullivan's margin of victory to only 24 votes, "the errors discovered on the recount being mostly in Mr. Hobart's favor." A second recount seems to have been conducted at the state level, for the Memorial reported on December 6, 1888: "the votes for office of Register of probate counted at the State House, Boston, give Sullivan 35 plurality over Hobart." Hobart apparently ultimately conceded Sullivan's greater number of votes, but tried a new tact, calling into question Sullivan's legal eligibility to hold the office to which he was elected. The question focused upon whether Sullivan had forfeited his legal voting rights in Massachusetts by removing to Kansas, albeit temporarily, and, if so, whether he was therefore eligible to hold an office for which he was ineligible to vote. The late Register of Probate, Edward E. Hobart, Esq., has addressed to J. C. Sullivan, Esq., the present incumbent, the interesting query as to whether the latter is legally elected; and he may under quo warranto proceeding - although no steps have yet been taken - bring the matter before the May sitting of the Supreme Court for decision. Mr. Sullivan removed to Kansas with his family December 2, 1887, having sold his property at Middleboro, but concluding not to remain West, returned March 5, 1888, and resumed his former relations at Middleboro. The question now comes, did he lose his residence here and fail to regain it in time to become a qualified voter in every respect in this -state? And further, if such failure resulted, can he legally hold an office for which as an individual he was not qualified to vote? Mr. Sullivan has "nine points of the law" in his favor, - actual possession of the office; but it is a matter of speculation on the part of those who know nothing about law, as well as among those versed in legal lore, what decision the court might arrive at should the inquiry be made in proper form. Mr. Hobart could not be declared elected in case Mr. Sullivan had to vacate, although he received nearly as many votes. It would simply be a non-election, and the parties would have a chance to try it over again. In this view of the matter Mr. Hobart may not care to institute proceedings; otherwise simply furnishing a topic over which would-be wise ones may wag their beards. Hobart, however, seems not to have forced this issue and seemingly was mollified when he was appointed Plymouth County Clerk of Courts following the August, 1889, death of the occupant of that office, William H. Whitman. Sullivan's election to the post of Registrar (which he would hold until his death in 1906), was "another marked and merited recognition of his energy, industry and ability." speech and manner will be long remembered. Interested in educational matters, in 1886, Sullivan was elected to the Middleborough School Committee, a position he held until 1895, serving as Chairman for three years. During his tenure on the Committee, Sullivan had sole charge of the High School building as a member of the prudential committee. Additionally, he served as a member of the building committees in charge of the erection of the High and West Side Schools. Additionally, Sullivan served as a member of a three-man committee charged with securing plans and estimates for a proposed two-room schoolhouse at Peaseville (what later was the Forest Street/Flora Clark School). Sullivan represented the School Committee before the Railroad Commissioners at Boston "at the hearing in which Rock [Village] people were interested, in reference to the matter of stopping the Cape express trains at Rock station for the convenience of the school children. Supt. Allen and J. H. French appeared in opposition, but finally stated that they would consider the petition favorably if the people of Rock would do away with the opposition of residents down the Cape." During this time, Sullivan's contests to retain the office of Registrar were relatively easy affairs. Five years later, at the Plymouth County Republican Convention held at the Red Men's Hall in Brockton,• the first week of October, 1898, Sullivan was again nominated to run. "Senator Chamberlain said it was a custom of the county to reward faithful service and the conventions were more like ratification meetings. He believed John C. Sullivan as register of probate had been faithful and he moved his renomination by acclamation. This motion was carried." In that year's race, Sullivan defeated John G. Owens (Democrat) of Whitman, 7,142 to 3,080, a plurality of 4, 062 votes. Sullivan, at the time, also oversaw the legal tutelage of Bert. J. Allan, principal of the Pratt Free School at North Middleborough. It was reported in 1897 that Allan "who has been reading Blackstone in his leisure hours at the office of J. C. Sullivan, Esq., in Middleboro, will be formally admitted to the bar next Monday afternoon." Allan later had a successful legal career, attaining the position of Special Justice of the Fourth District Court, a partial testament to the legal training acquired under Sullivan. 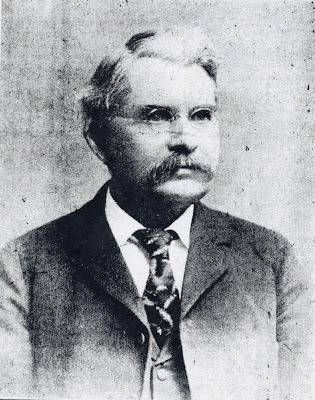 Throughout the late 19th century, John C. Sullivan was active in local municipal, civic and fraternal affairs. In November, 1899, Sullivan, along with Albert T. Savery and Joseph E. Beals, were elected to serve as directors of the Plymouth & Middleboro Railroad at the annual stockholders meeting held at Plymouth. Sullivan at this time also became prominent in the promotion of Middleborough's business interests. He served as attorney and director of the Middleborough Co-operative Bank, and trustee of the Middleborough Savings Bank. In 1902, Sullivan became a promoter of the LeBaron Foundry Company of Middleborough which had then just been recently incorporated. "He was a prominent member of the Middleboro Business Men's Club from its inception." 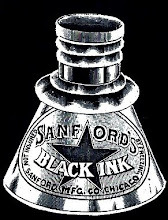 The club was organized in July, 1903, at which time Sullivan was named to its Board of Management as well as its Committee on Bylaws. He was noteworthy in efforts to attract new business and industry to Middleborough and was a prominent speaker at the 1906 dedication of the George E. Keith Company's branch plant in Middleborough. John C. Sullivan, Esq., drew a most interesting contrast between the little shoe shop of olden times and the great plants of the present day with their modern appliances. He spoke of the great benefits to the community arising from the location of a plant like the Keith factory, and esteemed it a far greater blessing to the people than the gift of a Cernegie library. Mr. Sullivan concluded by assuring Mr. Keith and his associates the best wishes of the Middleboro people, with the hope that the plant would long stand as a monument to the energy, courage and business capacity of its founder. Sullivan was equally noteworthy in the promotion of veterans' issues. On Memorial Day, 1895, Sullivan delivered an oration at Wareham. The "fine address ... found great favor with [his] auditors." He served as chairman of the committee charged with the erection of Middleborough's Soldiers' and Sailros' Monument on the Town Hall lawn, "aiding materially in the conclusion of the preliminary steps of raising funds and other work of like nature, and relinquishing his task onlu with the completion of the monument itself in 1896." In 1899, Sullivan, Alvin . Howes and Walter H. Smith represented E. W. Peirce Post 8, G. A. R., at the state encampment at Boston in February. 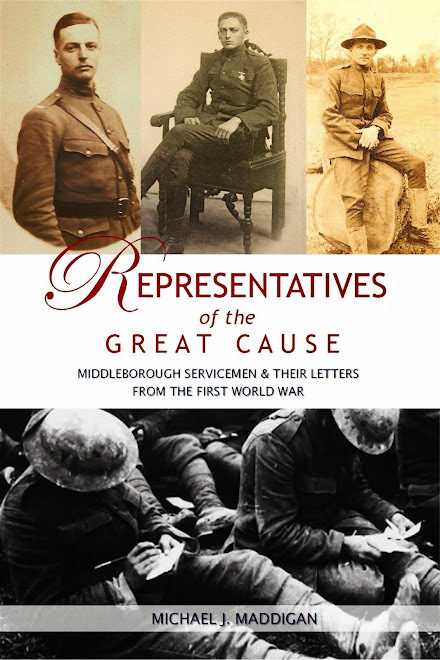 In April, Sullivan took addressed a meeting at the local G. A. R. Hall to honor Middleborough members of the Massachusetts Fifth Regiment. Besides his membership in the G. A. R., Sullivan was also a member of the Massachusetts Union Veterans' Union (U. V. U.). In 1902-03, he served as colonel of the Stephen Thomas Regiment, and as lieutenant-colonel in 1904-05. Additionally (and not surprisingly given his legal background), he held the position of judge advocate general of the Massachusetts department of the U. V. U. from 1902 until his death. Sullivan was also active as a Mason, being a member of the Mayflower Lodge, A. F. & A. M. of Middleborough and the Social Harmony Chapter, Royal Arch Masons of Bridgewater. John C. Sullivan died unexpectedly and tragically when struck by a trolley car on Plymouth Street in North Middleborough, Sunday, October 21, 1906. Mr. Sullivan had been calling at the residence of James S. Blenkinsop, and hurried out to board the car, which was approaching rapidly. A large bush which grows in front of the house partially cut off the view, and the motorman in charge did not see his signal until about ten feet away. Mr. Sullivan’s eyesight had become much impaired, and it is believed that this led him to step too close to the track, so that a projection from the car struck him in the center of the forehead. He was picked up and carried on the car to the office of Dr. A. C. Wilbur, but upon arrival no sign of life could be detected. Medical examiner Morse of Wareham was called, and assigned a fracture of the skull as the cause of death. Sullivan was aged 64 years, 3 months and 7 days at the time of his death. Walter Sampson, Morrill S. Ryder, Albert A. Thomas, Theodore N. Wood, and Allan R. Thatcher acted as ushers. “There was a profusion of floral tributes from individuals and organizations, and the musical selections rendered by a quartet composed of Mrs. H. H. Fuller, Mrs. E. Wood, Louis carroll and A. M. Howard, were of especial beauty. Rev. Samuel M. Cathcart conducted the services, paying an eloquent tribute to the memory of the deceased.” The bearers were ex-Senator Loyed E. Chamberlain and Harry W. Flagg of Brockton, and Joseph E. Beals, George E. Doane, Dr. Edward S. Hathaway and Percy W. Keith of Middleborough. 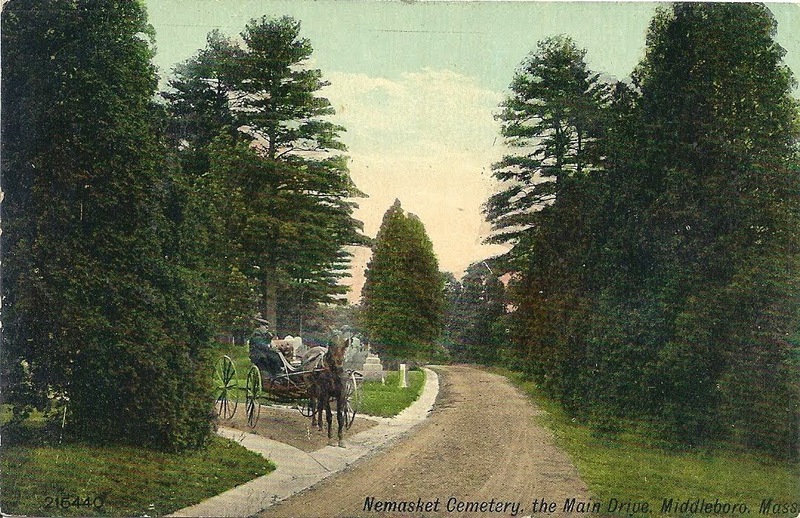 Burial was in Nemasket Hill Cemetery at Middleborough. John C. Sullivan, photograph. c. 1900. John C. Sullivan's naturalization record gives his date of birth as July 13, 1841. Mathew and Nicholson quoted in Peter Somerville-Large, The Coast of West Cork (Belfast: The Appletree Press Ltd., 1991), p. 156. Deane, Annie D. "History of Middleborough High School" The Middleborough Antiquarian. 6:4, November, 1964. Somerville-Large, Peter. The Coast of West Cork. Belfast: The Appletree Press Ltd., 1991. Thackeray, William Makepeace. The Irish Sketch Book: And Notes of a Journey from Cronhill to Grand Cairo (London: John Murray, 1869), pp. 93, 94. Seventh Census of the United States, 1850. National Archives Microfilm Publication M432 (Washington, D.C.: National Archives and Record Administration, n. d.). Eighth Census of the United States, 1860. NARA microfilm publication M653 (Washington, D.C.: National Archives and Records Administration, n.d.). Ninth Census of the United States, 1870. NARA microfilm publication M593 (Washington, D.C.: National Archives and Records Administration, n.d.). Tenth Census of the United States, 1880 (Washington, D.C.: National Archives and Records Administration, 1880). Washburn, Nathan. 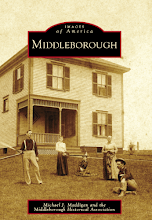 "History of Middleborough High School" (1889). 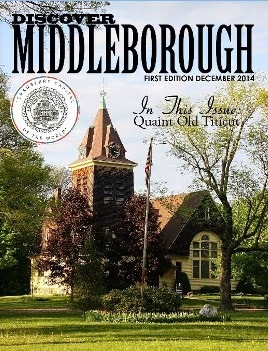 The Middleborough Antiquarian. 24:1, March, 1985.